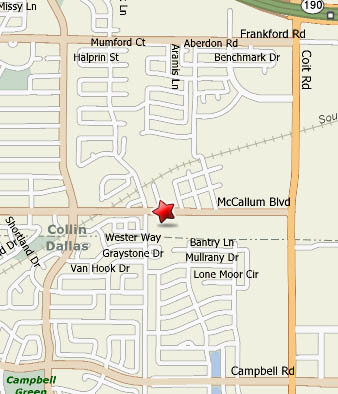 We are conveniently located at 7605 McCallum Blvd Suite 201 Dallas, TX 75252. McCallum runs east and west parallel between Frankford and Campbell. Our office is located between Coit and Hillcrest.